Maggie Semple OBE is a successful business woman and entrepreneur. 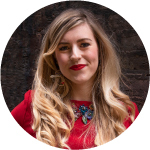 In 2010 she set-up Semple, a bespoke women’s fashion brand; a labour of love established to empower likeminded women through made to measure fashion, networking events, a daily blog and magazine. 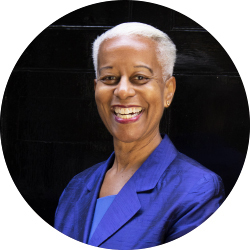 Maggie is a Member of the Queen’s Counsel Appointments Panel and serves on a range of Boards including the Southbank Arts Centre. She is a Non-Executive Director of the Criminal Cases Review Commission (CCRC) where she chairs the Audit and Risk Assurance Committee. Maggie is a Fellow of the City & Guilds Institute, one of 500 Fellowships awarded since 1878 and is cited in the World’s Who’s Who. She was awarded an OBE in 2000. Dulcie is Semple’s Creative Director, with a love of anything that sparkles and an attraction to all things that ooze colour. 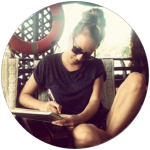 Having begun her journey as a fanatic art student at Central Saint Martins, it was there she found her passion for Graphic Design and graduated with a degree from London College of Communication. Now, Dulcie swaps and changes daily between her two loves, Fashion and Design; conjuring up anything from the latest window display to new designs for the Semple Collection. 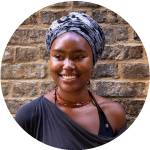 Olisha has a creative and critical eye which is what first influenced her to pursue a career in design. 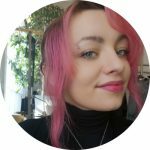 While studying Graphic and Media Design at The London College of Communication she began to explore using her work as a way of storytelling and sharing new concepts. With a strong belief that good design can change lives she also has a passion for Architecture and often draws inspiration from the shape, form and texture of modern structures. She is known to be logical and level-headed but with an occasional tendency to be hyperactive! 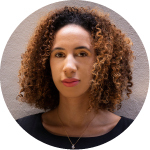 Rebecca grew up in east London where she studied Bespoke Tailoring at London College of Fashion. She likes to spend her time working on new commissioned pieces and describes her style of work as ‘tailored and contemporary aesthetic with culturally inspired silhouettes’. Initially having focused mainly on menswear, Rebecca has also found an interest in womenswear and has began to pursue her interest in dressmaking through the production of the Semple Collection. Between cooking and baking treats for her four children, Supermum Ane can be found in her studio amending the most challenging of Semple garments. Her favourite area to work on is womenswear as she loves to put a smile on clients faces when their dresses fit them perfectly. Ane may be high in demand but will never say no to a good project, even if it means staying up until early morning to complete this! 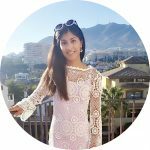 Having graduated with a degree in Womenswear Pattern Cutting and Design at London College of Fashion, Suman has since worked on a whole range of beautifully cut and embellished garments. Her favourite being an Alice Temperley bespoke wedding dress she made from French lace, silk and intricate beading. Suman can be seen here with her other joint love – coffee! She loves to visit the latest new cafes in town to try out their delicatessen and source some fuel to keep her energy levels up! Raised in Bergamo, Anissa embraces her Italian roots and channels this into her work at the atelier. Having studied Fashion Design in Milan, it was there where she specialised in pattern making, adopting all the traditional tailoring techniques Italy is so renown for. Anissa was intrigued by the construction process of a garment and enjoys the way you can bring to life any possible shape or volume from a flat, paper pattern. 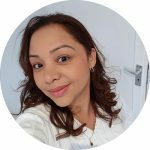 As well as creating patterns for Semple garments, Anissa also enjoys making costumes for theatre productions, performers and cosplayers. 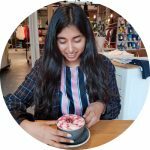 Pritika is a fashion atelier graduate who prides herself on English heritage and traditional sewing and pattern cutting. She abides by the saying ‘There is beauty in tradition’. Her work is about bringing forward and utilising traditional atelier and couturier techniques in unique modern designs. With this in mind, Pritika creates the authentic hand sewn dress toiles you see before you in fittings, made with lots of love and precision. 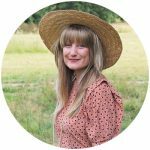 A freelance Editor and Blogger, Harriet has a slightly irrational love for detective fiction and can often be found getting caught up in the somewhat tame tales of Miss Marple or watching Midsomer Murders on a Sunday afternoon. A country girl at heart, she loves nothing more than whiling away an hour or two in a coffee shop reading a good book, feeling inspired by street style and pinning to her heart’s content on Pinterest. If she’s not out walking her beautiful Sprocker Spaniel, Hallie, then you’ll probably find her rummaging for vintage fashion finds at the local charity shop or car boot sale!